Prime Minister Narendra Modi will address two rallies in Gujarat on April 10 in the run-up to the Lok Sabha polls in the state on April 23. State BJP president Jitu Vaghani said the rallies would be in Junagadh town in the Saurashtra region and in south Gujarat's Songadh. "On the morning of April 10, PM Modi will address a gathering in Junagadh town. People from both Junagadh and adjoining Porbandar Lok Sabha seats will converge there to be part of the gathering," Vaghani said. Later in the afternoon that day, the PM will address a rally in Songadh town, in Tapi district, which is part of Bardoli Lok Sabha seat, Vaghani added. 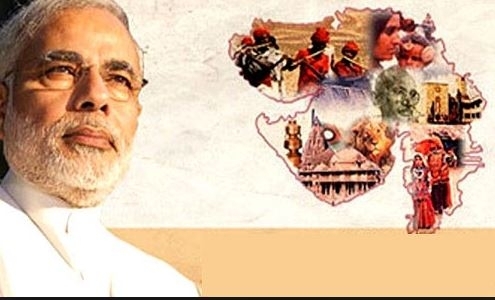 "The PM will address people from Bardoli as well as adjoining Navsari Lok Sabha seats in the Songadh rally," he informed. The BJP had won all 26 Lok Sabha seats in the state in the 2014 polls.